After my last grumptastic post, it’s time to get back on track with what this blog’s about: telling you about good stuff that I want you to enjoy! Lately, I’ve been all about Comixology. Comixology is a digital comic book app/storefront that works on your Mac, PC, as well as on iPhone, iPad and most color tablets. I’ve been using it on my Kindle Fire. It’s introduced me to a lot of new comics through either free issues, or heavily discounted issues. 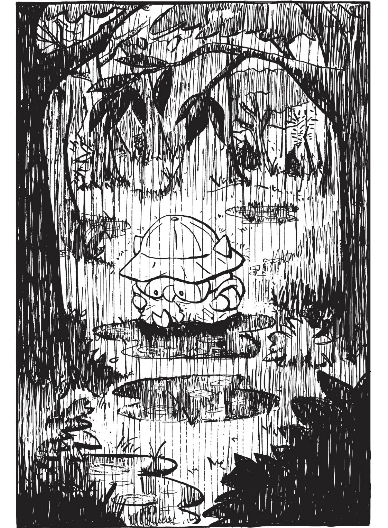 I’ll get the BUY THIS portion out of the way now…you can get the first volume of Owly on Comixology for 99 cents, or you can pay $10 for the print version. 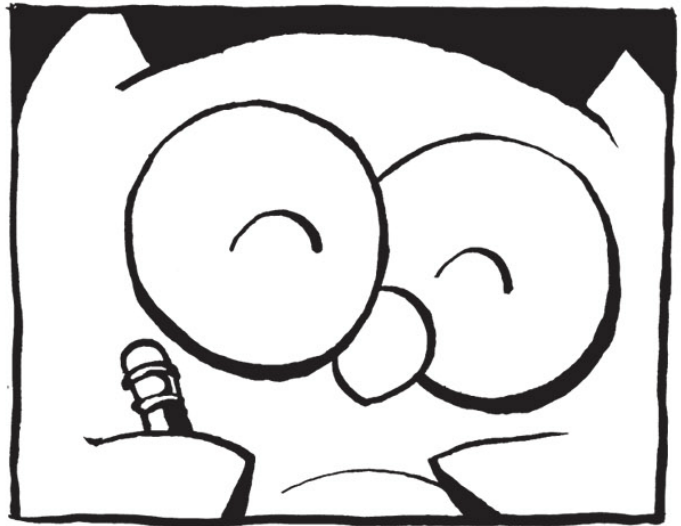 Owly is written and drawn by Andy Runton. 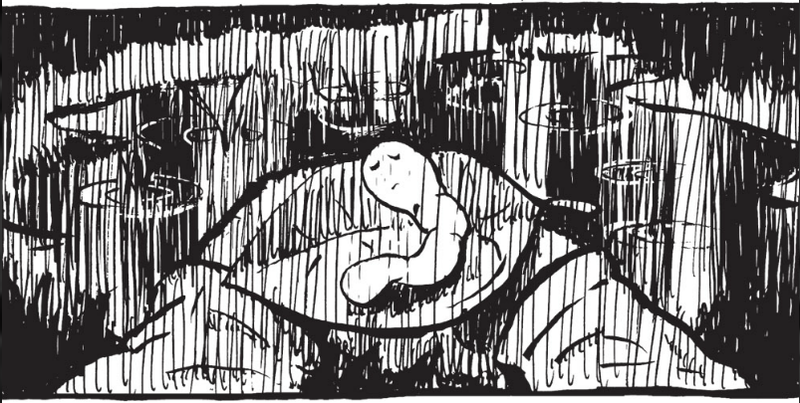 I’ve never read anything by Runton before, but I’ve heard of Owly, though mainly as “some indie kid’s comic.” I had no idea what to expect, and loved what I found. What I found was a universal tale about obsessions and hobbies. Loneliness and friendship. Owls, worms, and hummingbirds. Owly’s a solitary guy. He wants companionship, and he looks for it through hobbies. And he’s got a library of books dedicated to his hobbies. Oh, and he’s a big guy who scares things smaller than him. This is for sad fat dudes like myself, or anyone who’s ever felt like a sad fat dude (EDITOR’S NOTE: You do not have to be fat, or sad, or sad or fat all the time to have felt like a sad fat dude. Also, is Louie Anderson still alive? OK, I Googled it, he is). This comic is in black and white. This comic is completely silent. No dialogue. No animal sounds. The story is simply told through expressions and gestures, and as occasionally seen above, through additional imagery. WARNING: PAULY TALKS ABOUT ART NOT SO GOOD: Runton tells his story with clear, committed lines. Everything is cartoonish and friendly, yet it doesn’t talk down to the reader. As someone who has no children at all, I feel like Owly would be a good reading tool in that a clear story is told through illustration, there’s no mistaking the actions or emotions of the characters, yet it still leaves things open to interpretation. Whether that be a kid putting in their own dialogue for Owly and his worm friend, or it be me recognizing myself in a cartoon owl. No matter what you read into this book, there’s no mistaking what you’re reading. Note: When I end things on these “Pauly ran out of things to say and then told you to buy it” notes, go ahead and buy it, then discuss it with me in the comments. Or throw some sort of specific challenge for me to further sell you on it.